Cosel Co, Ltd (6905: Tokyo) today announced the release of an industry first, 200W, open-frame, configurable AC/DC power supply with triple outputs tailored for robotic controllers and factory automation. Based on a unique concept, the Cosel RB series offers three configurable isolated outputs, with one having a reinforced isolation to power Intelligent Gate Bipolar Transistors (IGBT) or equivalent applications. Certified to EN62477-1 Over Voltage Category (OVC) III, by reducing the need for an extra isolation transformer when connected to a distribution panel, the RBC200F power supply simplifies the design process for systems architects while reducing costs. Reducing energy consumption, the RBC200F is fully digitally controlled on the input and output stages. Designed to reduce complexity, the RBC200F features three independent outputs. The master output (Slot 1) can deliver 24V adjustable 22.8 to 26.4V, or 48V adjustable 45.6 to 52.8V with 144W output power. The second output (Slot 2) can host configured modules of 3.3V/5A ; 5V/5A ; 12V/2.5A ; 16.5V/1.9A ; 24V/1.3A ; 48V/0.65A ; +/- 12V/0.7A and +/-15V/0.7A with a power of 16.5 to 30W depending on the output voltage. The third output (Slot 3) can host any of the single output voltage modules in the same power level. For higher voltages, outputs can be connected in series. All output voltages are adjustable via a built-in potentiometer. 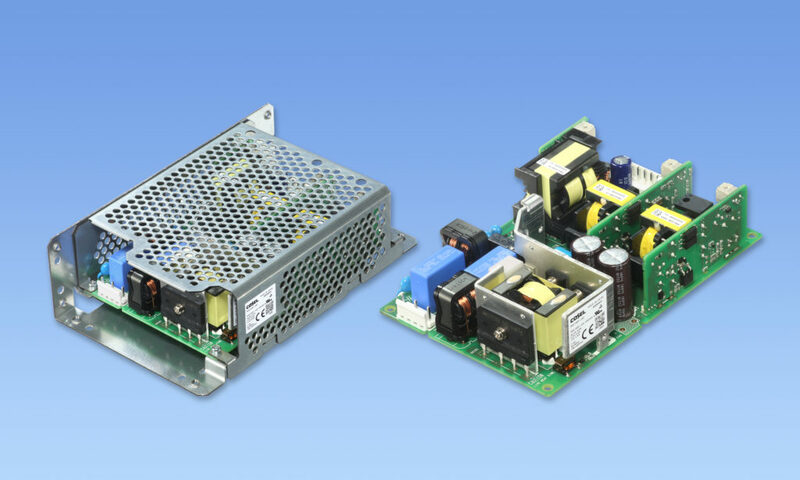 Established in Japan 1969, COSEL is one of the world’s leading designers and manufacturers of high performance AC-DC Power Supplies, DC-DC Converters and EMI Filters. With quality, reliability & flexibility as our main focus, we pride ourselves on developing some of the highest quality and most reliable products seen anywhere in the world today. The Cosel Group is a $284m global company employing some 790 staff with sales offices throughout Japan, Asia, Europe and North America. Our product range is aimed mostly at demanding applications within the Industrial, Factory Automation, Medical, Telecoms, Lighting, Audio/Broadcast & Renewable Energy sectors. A flexible approach with full in-house design means we deliver products using the very latest technology meeting the growing demands of our customers. The Cosel Group includes the European power specialist Powerbox International AB, which has been acquired June 25, 2018 by COSEL.